2a1) Larkin “Asa” Tindall (b. betw. 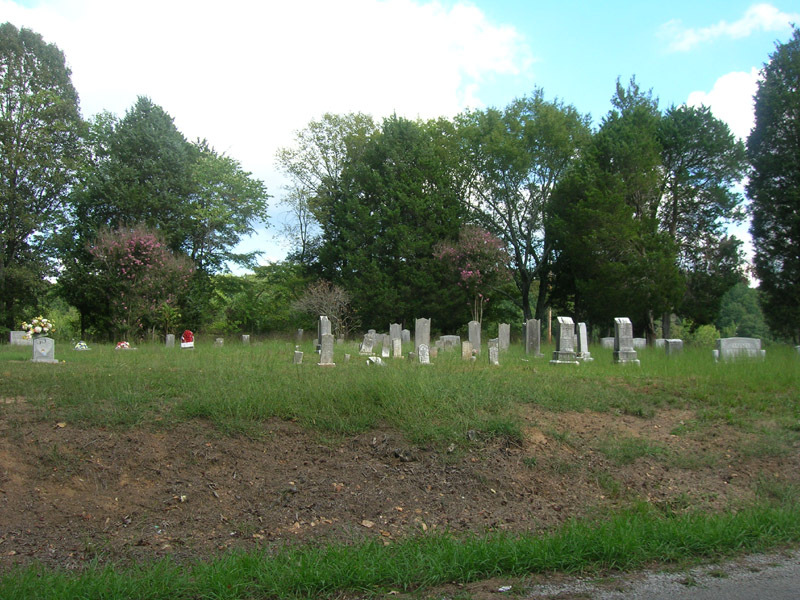 1770-1771 – died 1841)- moved to Warren County, Ga). -“Martha Tindall” was witness to her mom’s (Sarah Going) will in 1814. – The Tindall’s moved to Limestone County, Ala.
Sarah B Tindall 1797–1879 m. Cunningham. Lucinda A Tindall 1803–1870 m. Foster. 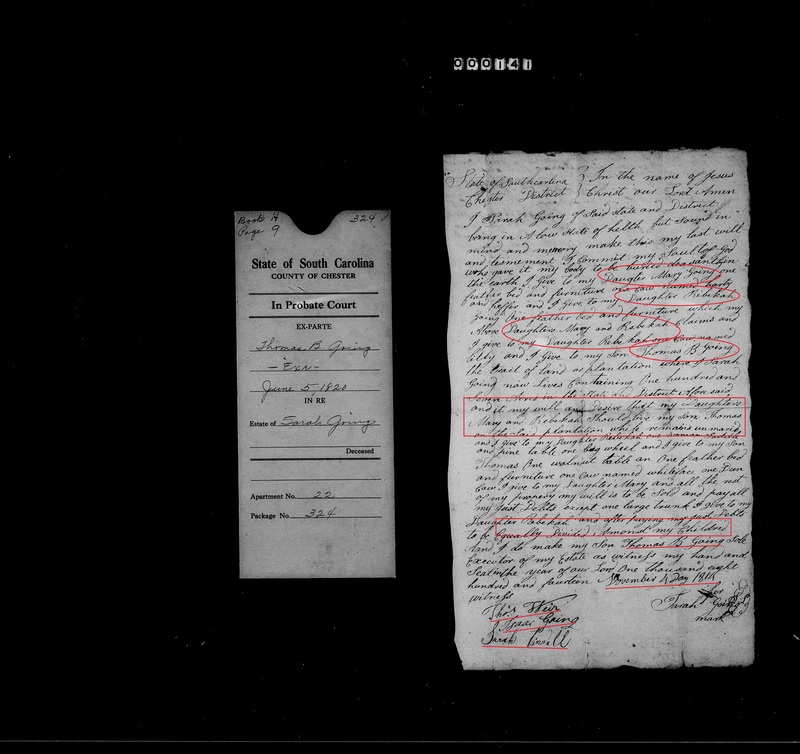 1) Martha Going born about 1771/74 – d. Aug 19, 1813, (Married 1790 to – Larkin “Asa” Tindall (d 1841)- moved to Warren County, Ga). 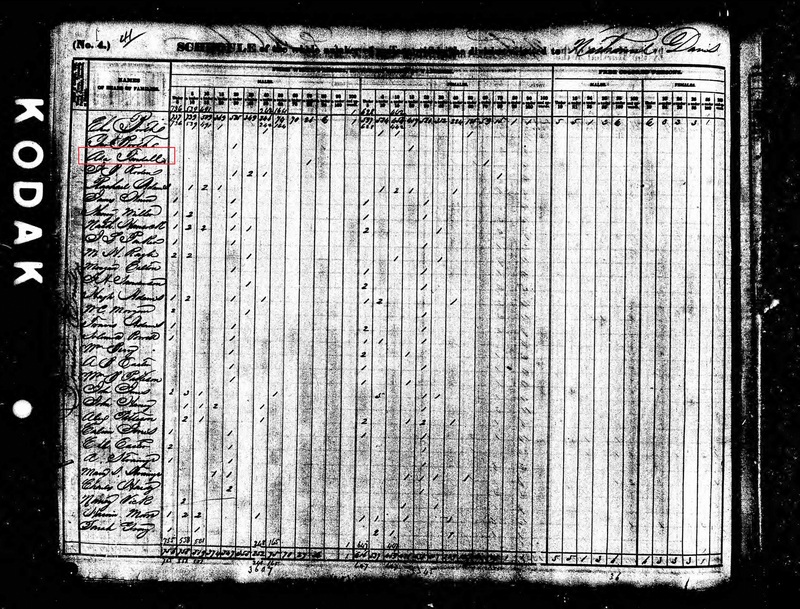 The 1790 US Census in Chester SC – shows Drury Goins, Asa Tindal, John McCool, Clayton Rogers, John Love, Charles Gilmore, William Hogg, Samuel Feemster, Joseph Robertson, John Williams, Francis Kirkpatrick, Robert Black, Aaron Lockhart, James Love, Josiah Cook, Daniel Given, John Alexander, Robert Tindal, Hugh Reed, Valentine Bell, John Lockhart, James McCluney, (Gill families, Gaston families), all living in Chester Co, SC. 1796 Drury Going dies in South Carolina. The Chester County Court orders sale of Drury Going’s estate within 12 months. Chester Co, SC. In 1797 – 1807 – Drury Going’s (decd) estate is in probate. Executors are: Elijah Going, Sarah Going, James Johnston. Sale of Drury Going’s estate included the following buyers: Isaac Going, Elijah Going, Sarah Going, William Fariss, Job Going, Clayton Rogers, William Brown, Robert Elliott, Andrew Walker, Asa Tindall, William Fiary, John Brownlee, Francess Kirkpatrick, Charles Gillmore, James Johnston, James McNeese, Alexandra Price, Samuel Feemster, David Leech, Christian Johnston, Robert Miller, John McDonnel, Richard Curer, Joseph Feemster, Joseph Roberson, Samuel Tarbert, Aaron Lockert, Joseph Brown, Joseph Gist, William White, William Bratton, William Keith, Samuel Laysey, John Brown, Richard Curer, William Benson, William Gaston, William Rutherford, James W. Darby. 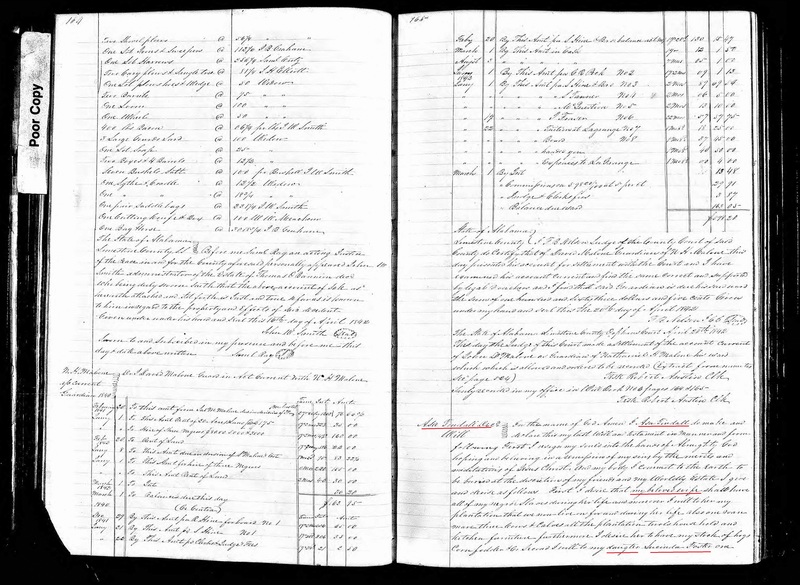 Payments out of Drury Going’s estate are made to his heirs, including: Job Going, Isaac Going, James Going, Asa Tindall, Elijah Going, Mary Going. 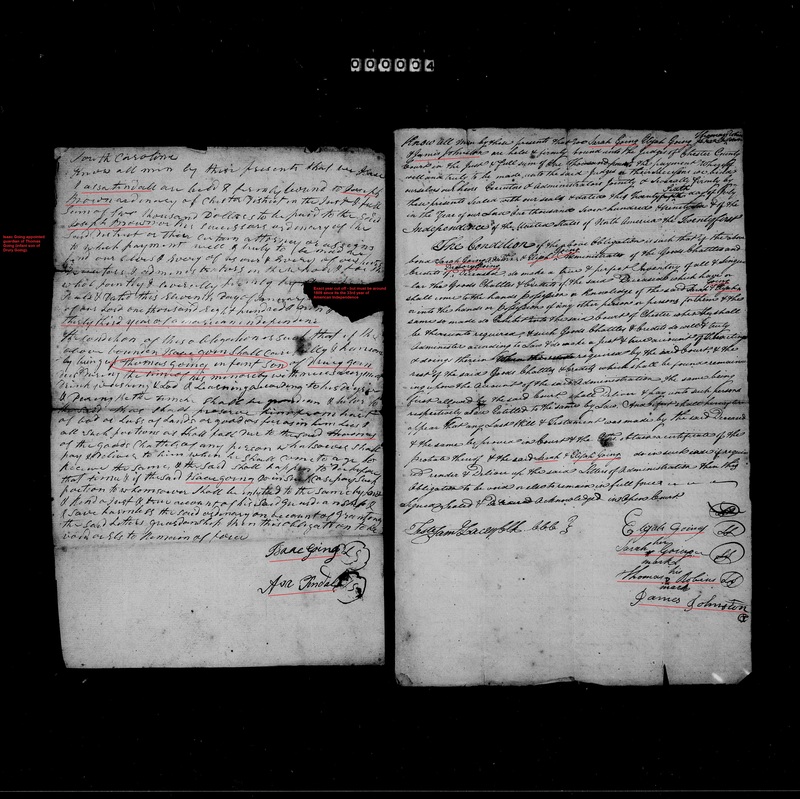 1796 October 14 – Chester County Court issues “I do hereby certify that Aaron Lockart, Francis Kirkpatrick and Charles Gillmore were sworn to appraise and make an inventory of the estate of Drury Going as directed within before me. Signed: Clayton Rogers, JP. 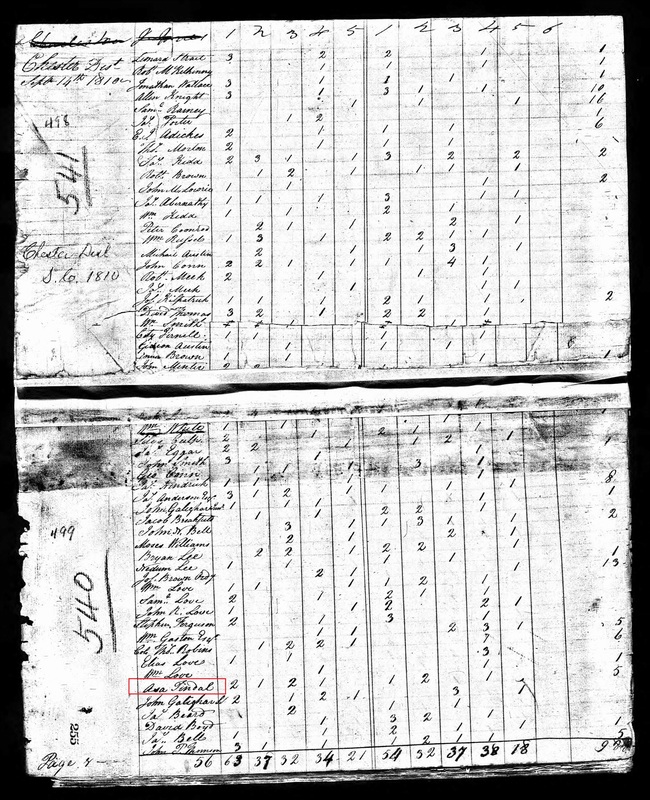 Some time before July 1797 Asa and Martha Tindall had moved to Georgia as is shown by the following record. 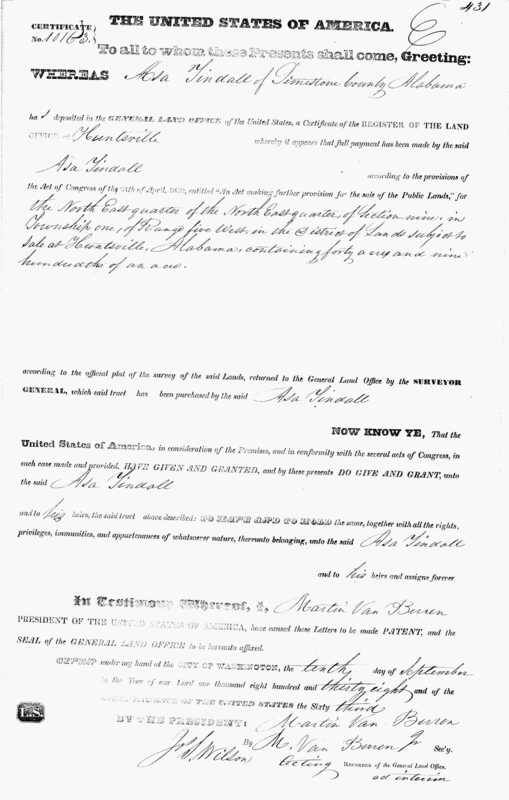 “Asa Tindall” received a deed from Sarah Hill, “both of Warren County, Georgia” February 7, 1799 to “30 acres where the grantor lives,” according to Warren County Deed Book B, page 74. Witnesses were John Hill and Stephen Lawrence. Warren County, Georgia. 1799 Feb 7 – … between Sarah Hill of the County of Warren and State of Georgia of the one part and Asa Tindal of the County and State aforesaid of the other part… said Sarah Hill for and in consideration of the sum of $100 dollars in hand well and truly paid … convey and confirm to the said Asa Tindal and his heirs part of a tract of land granted in the name of David Phels begining when the road crosses the line between said tract and Stephen Laurence … near the corner of said Tindals fence … part of a tract that Sary Hill now is living on containing 30 and 1/2 acres bounded by William’s land, Laurence’s land in the County and State aforesaid … Signed: Sarah Hill. Wit: John Hill, Stephen Laurence. Proved up in court on March 25, 1802. Deed bk B, p 74. Warren County, Georgia. –1798 March 11 – Accounting of Drury Going decd estate. Signed: James Kirkpatrick, Charles Gillmore, Aaron Lockhart. 1807 Dec 2 – Inventory of the Estate of Elijah Going decd taken – Signed: Charles Gillmore, John McKelvy, William Love. 1808 Jan 18 Accounting for estate of Elijah Going decd. 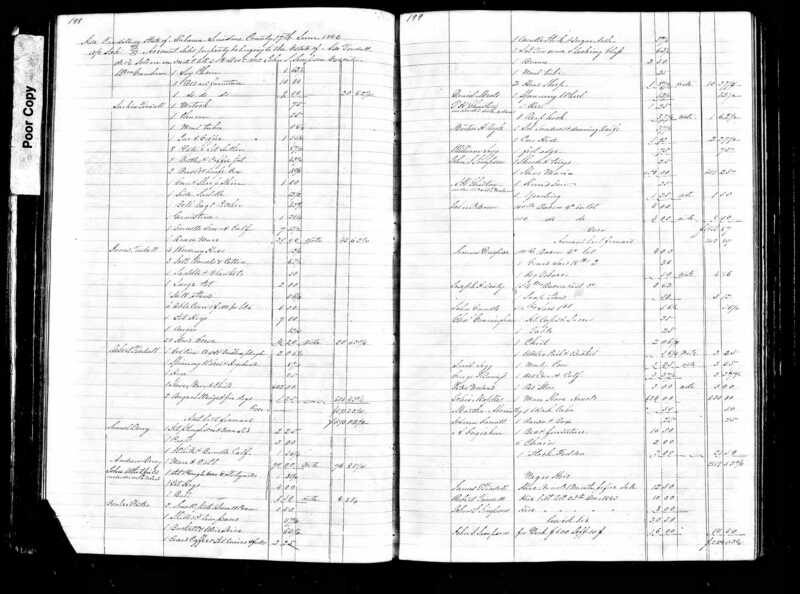 https://www.familysearch.org/ark:/61903/3:1:939L-FF3H-44?i=70&wc=MPPL-6TL%3A190567701%2C190567702%2C190567703%2C190726101&cc=1911928 (Loose probate papers – Chester County, South Carolina). 1809 Jan 11 – Know all men by their presents that we Isaac ___ and Asa Tindall are held and firmly bound to Joseph Brown Ordinary of Chester District in the just and full sum of $5000.00 dollars to be paid to the said Joseph Brown or his successors ordinary of the said District or their certain attorney or assigns to which payment well and truly to be made bind ourselves and every of us our and …. The condition of this obligation is such that if the above bounden Isaac Goin shall carefully and hansomely bring up Thomas Going infant son of Drury Goin decdduring the time of his minority with necessary meat, drink washing and lad and learning according to his desire and providing the this timeche shalle be ground ran and hr loe to the said Thomas shall presever him from trustof bad or loss of lands or goods as for as in him lecs and all such portions as shall fall due to to the said Thomas of the goods chattels of any person whatsoever shall pay and deliver to him when he shall come to age let receive the same and the said shaell appear to … before that time and if the said Isaac Going do in such case pay such portion to whomsoever shall be indebted to the same by land and kind a trust and true account of his said guardianship and save harmless the said ordinary on account of granting the said letters guardianship then this obligation to be void or else to remain in force. Signed: Isaac Going, Asa Tindall. 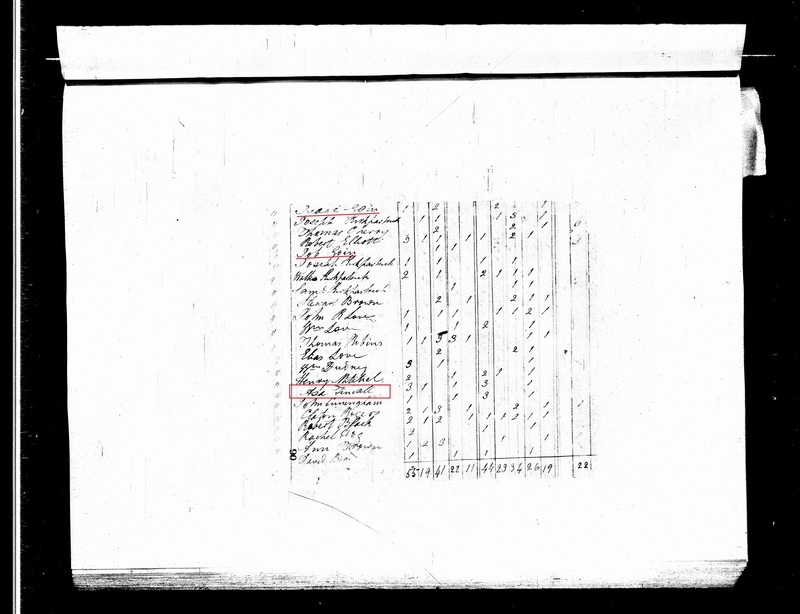 Combining the above 1800 and 1810 US Census reports puts both Asa and Martha Tindall’s birth years somewhere between 1766 to 1774. … I Thomas Robins of Chester District South Carolina … for $600 dollars paid by Job Goin of Chester District … sell unto said Job Goin a certain tract of land on the Waters of Mill Creek … tract one of 150 acres taken up by Thomas Akins in 1774 and 48 acrestaken up by Robert Aiken on 1805 the whole of said lands as may be seen in the plat … containing 198 acres … Signed: Thomas Robins. Wit: Edward Robins, Asa Tindall. Proved up by Edward Robins in court on Dec 15, 1812. Deed bk Q, p 97. Chester County, South Carolina. 1818 Aug 7 – I William L McCool of Chester Dist, SC in consideration of $250 dollars … by John Brandon … sell unto the said John Brandon … land containing 100 acres … in District of Chester on the Waters of Turkey Creek bouned west by John T McCool on the North by James Jamison on the East by David Leech and on the South by William Feemster being originally granted to John Long by Governor Moultier 1785 conveyed by the said Long to Drury Goings by the sd Goings to Asa Tindall by the said Tindall to William L McCool … Signed: William Love McCool. Wit: David Leech, John T McCool. Proved up by John T McCool in Court on Feb 10, 1820. Deed Bk T, p 154. Chester Co, SC. Sarah “Sallie” Baxter Going (Martha Tindall’s mother) died in Union County April 22, 1820, at age 69, according to the research of Linda Sue Betts Essary, a descendant of Floyd, New Mexico. Her above will was probated in the June 1820 court session, according to Chester County Deed Book H, page 9. 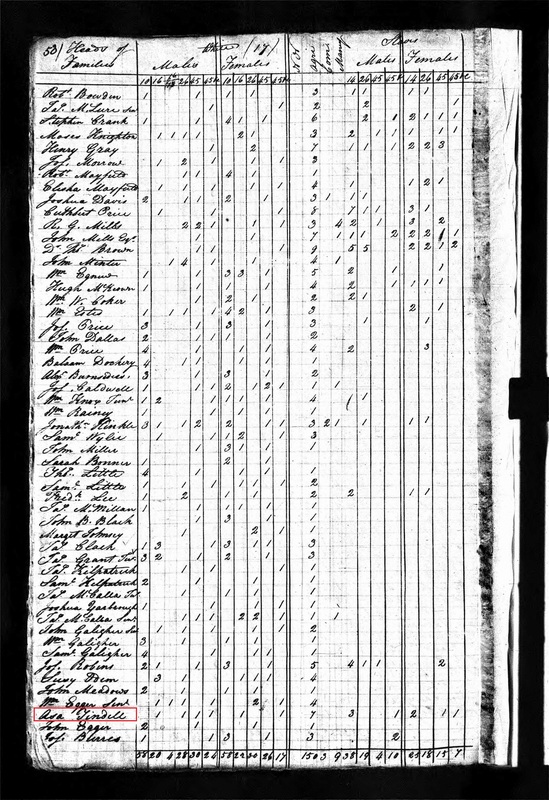 (Combining the 1800, 1810, and 1830 US Census puts the year of birth for Asa and Martha Tindall between 1771 and 1774). Free White Persons – Males – 70 thru 79: 1 (Asa Tindall b. betw 1761-1770). 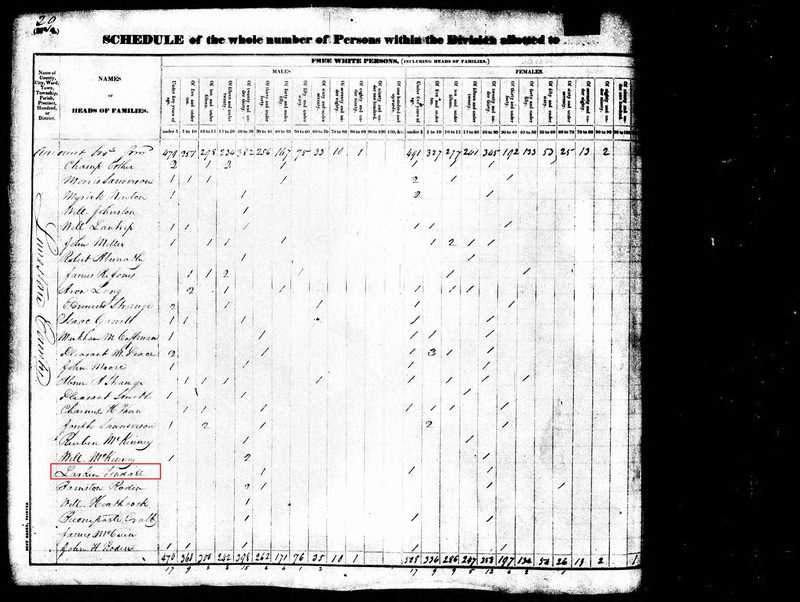 (Combining the 1800, 1810, 1830 and 1840 US Census puts the year of birth for Asa Tindall some time between 1770-1771 and Martha Tindall between 1771 and 1774). Later the Tindalls removed to Limestone County, Alabama, according to Cynthia Holsomback McMullen, a descendant of Huntington, Texas. Larkin Asa Tindall died there shortly after he wrote his will on December 10, 1841, according to Limestone County Will Book 5. Martha Going Tindall died there about 1842, according to the research of Fredrick W. Tucker, a descendant of Duncan, South Carolina. 1841 Dec 10: Asa Tindall writes his will. The following heirs are named in his will: (my beloved wife – unnamed). Daughter Lucinda Foster, with four granddaughters Canada Foster, Sally Foster, Mary Foster, and Martha Ann Foster. Grandson Asa Foster. Son James Tindall, his two sons (grandsons) Leonard and Elisha Tindall. Son Robert Tindall, son Larkin Tindall, son William Tindall, daughter Sarah Cunningham, John S Simpson as executor, Witnesses: Peter Noland, David Roden, Barrington Roden. Signed: Asa Tindall. Limestone County, Alabama. 1842 May 31: Robert Tindall presented the appraisment of Asa Tindall decd’s estate to the Court in Limestone County, Alabama. The appraisers were David Gilbert, John L Murphy, Isaac Edmondson, and Peter Noland. 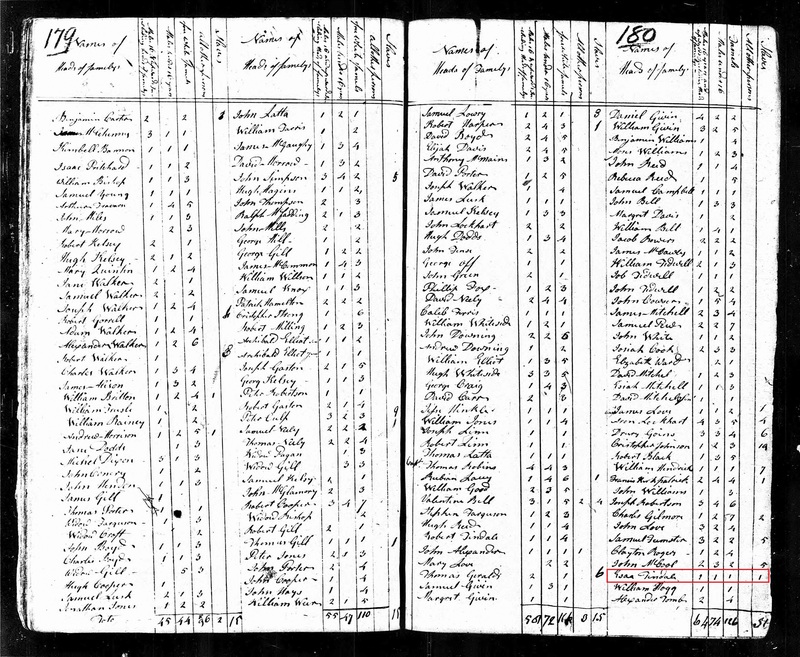 William Crenshaw, Larkin Tindall, James Tindall, Robert Tindall, Samuel Berry, Andrew Berry, John Whitfield included with Noland, Booker Foster, Daniel Meals, T H Ghaston included with Noland, Martin H Ragle, William Legg, John S Simpson, A H Ghaston included with Noland, John Peterson, Simon Dupree, Joseph J Beaty, John Gundle, Chas Cunningham, Lovil Legg, George Burness, Peter Noland, John Maples, Martha Abernathy, Solomon Garratt, A Ingrahim. Payments for expenses for sale were made to: James G Tindall, Robert Tindall, John S Simpson. Signed: John S Simpson (executor). Larkin Tindall, son of Larkin Asa Tindall and Martha Going Tindall, was born about 1791. Of this individual nothing more is known. John Tindall, son of Larkin Asa Tindall and Martha Going Tindall, was born about 1792. Of this individual nothing more is known. William Tindall, son of Larkin Asa Tindall and Martha Going Tindall, was born about 1794, probably in Union County. He was married about 1816, wife’s name Susanna L. They contin-ued in South Carolina in 1819. In 1836 they lived in Limestone County, Alabama. William Tindall died about 1848 in Nacogdoches County, Texas. Susanna L. Tindall died in Cherokee County, Texas about 1861. Margaret C. Tindall, daughter of William Tindall and Susanna L. Tindall, was born in South Carolina about 1819. She was married to Azmond Rucker Easter February 17, 1836 in Lime-stone County, according to Linda Sue Betts Essary. He died about 1853, and she died in the spring of 1859 in Cherokee County, Texas. Sackville E. Easter, son of Azmond Rucker Easter and Margaret C. Tindall Easter, was born November 2, 1850 in Cherokee County. He was married December 5, 1878 to Nancy Elizabeth Dunaway who was born June 26, 1858 in Texas to Clemmie Dunaway and Eliza Ann Cross Dunaway. 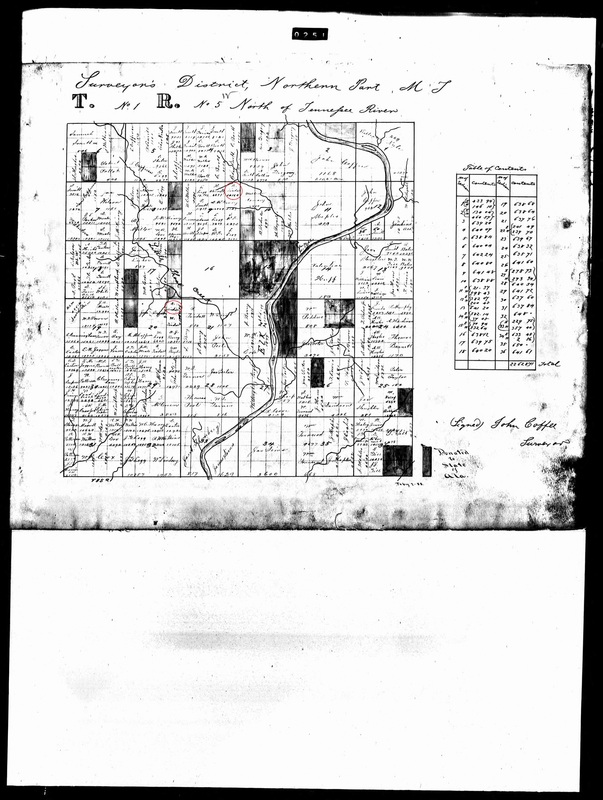 In 1880 they lived in Johnson County, Texas. He died June 18, 1928 at Hollis, Ok-lahoma, and she died June 23, 1941 at Elmore, Oklahoma. John Cooper Easter, son of Sackville E. Easter and Nancy Eliz-abeth Dunaway Easter, was born March 25, 1880 in Johnson County. He was married December 18, 1898 to Mollie Kate Killman who was born December 17, 1880 in Tarrant County, Texas to Henry Dizer Killman and Tena Elizabeth Bandy Kill-man. In 1907 they lived at Duke, Oklahoma. She died May 17, 1953 at Portales, New Mexico, and he died there December 1, 1961. Mamie Lou Easter, daughter of John Cooper Easter and Mollie Kate Killman Ester, was born September 11, 1907. She was married August 24, 1923 to James Arthur Betts, son of James Isaac Betts and Lorena Ivy Betts. He was born January 3, 1886 in Pontotoc County, Mississippi. He died January 30, 1969 in Portales, and she died there April 10, 1980. Linda Sue Betts, daughter of James Arthur Betts and Mamie Lou Easter Betts, was born February 14, 1946 at Portales. In 1991, she, a teacher, lived at Floyd, New Mexico. Sarah Tindall, daughter of Larkin Asa Tindall and Martha Going Tindall, was born March 4, 1797 in Warren County, Georgia, according to Cynthia Holsomback McMullen. She was married about 1816 in Chester County, South Carolina to William P. Gaston who was born about 1797 to William Gaston and Ann Porter Gaston. He died there about 1822, and she was remarried about 1826 to Charles Cunningham who was born April 9, 1794. He died September 28, 1862. She died September 2, 1879 at age 82 and was buried in Cunningham Cemetery in Limestone County, Alabama. Trusvan Cheives Gaston, son of William Porter Gaston and Sarah Tindall Gaston, was born about 1818 in Chester County. He was married about 1840 to Katherine Tindall Johnson who was born November 23, 1822 in North Carolina. He died in Limestone County, Alabama July 20, 1888. She died there August 10, 1892, according to Yvette Alanne Disbrow Wilson, a descendant of Ocala, Florida. William Harper Gaston, son of Trusvan Cheives Gaston and Katherine Tindall Johnson Gaston, was born June 13, 1853 at Gilbertsboro, Alabama. He was married February 18, 1885 at Athens, Alabama to Virginia Dickson who was born August 11, 1850 to Col. Robert Dickson and Rowena A. Paine Dickson. She died June 3, 1892 in Limestone County, and he died there March 22, 1921. Langdon Lee Gaston, son of William Harper Gaston and Vir-ginia Dickson Gaston, was born April 2, 1891 in Limestone County. He was married August 18, 1912 at Athens to Willie Wise who was born June 14, 1892. He died at Apopka, Florida July 16, 1961, and she died there September 18, 1966. Ruby Lee Gaston, daughter of Langdon Lee Gaston and Willie Wise Gaston, was born April 21, 1915 in Limeston County. She was married December 15, 1938 to George Henry Disbrow who was born November 13, 1907 in LaPorte, Indiana to Lewis Henry Disbrow and Ida May McNees Disbrow. George Henry Disbrow died January 21, 1981 at Eustis Lake, Florida. George Allen Disbrow, son of George Henry Disbrow and Ruby Lee Gaston Disbrow, was born October 31, 1939 at Apopka. He was married December 14, 1958 at Newport, Rhode Island to Barbara Ann Sparks who was born May 22, 1937 in Cocke County, Tennessee to George Herbert Sparks and Essie Belle Ramsey Sparks. Yvette Alanne Disbrow, daughter of George Allen Disbrow and Barbara Anne Sparks Disbrow, was born July 30, 1963 at Orlando, Florida. She was married October 3, 1987 to David Irving Wilson at Tavares, Florida. In 1996 they lived in Ocala where she, a member of the Foundation was active in the re-search of her Going family. Martha Caroline Gaston, daughter of William P. Gaston and Sarah Tindall Gaston, was born August 4, 1822 in Chester County. She was married May 28, 1839 in Limestone County to George Winston Booth, son of Charles Booth and Lucy Ann Abernathy Boothe, according to Cynthia Holsomback Mc-Mullen. He died November 24, 1850 in Paducah, Kentucky “en route to Nacogdoches, Texas.” She died in Cherokee County, Texas May 10, 1877 and was buried in Mt. Zion Cemetery near Alto, Texas. Thomas Trusvan Booth, son of George Winston Booth and Martha Caroline Gaston Booth, was born August 12, 1840 in Limestone County. He was married there September 20, 1860 to Ann Elisah Vinson, daughter of Allen Vinson. He died October 31, 1910 in Cherokee County and was buried in Providence Cemetery, near Jacksonville. She died January 14, 1929 in Tarrant County, Texas and was buried beside her husband. 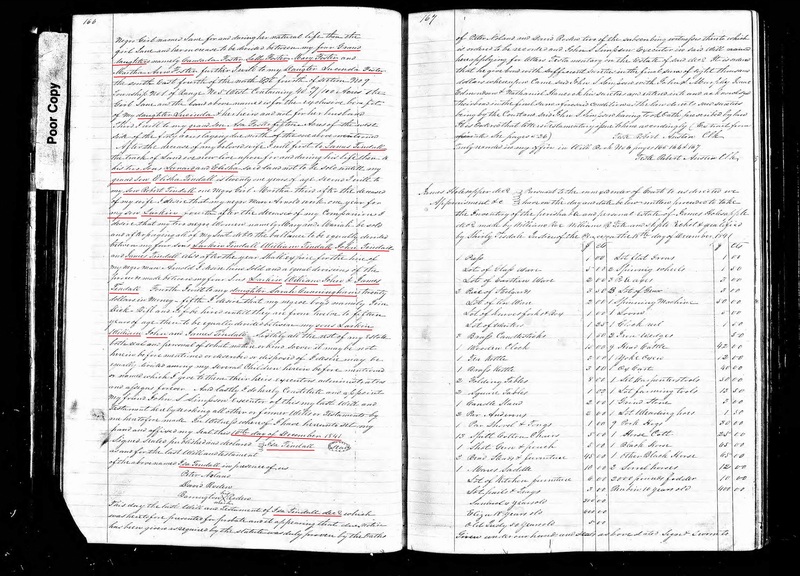 Thomas Trusvan Booth meticulously kept a bible record of his family and a journal in which he noted other information about his family. These records were the inspiration which prompted Cynthia Holsomback McMullen to undertake a study of the family history. Eunice Elvira Booth, daughter of Thomas Trusvan Booth and Ann Elisah Booth, was born July 16, 1874 in Texas. She was married September 15, 1895 to James Thomas Holsomback who was born October 1, 1870 to Thomas Newton Holsomback and Eleanor Odom Holsomback. She died April 14, 1899 in Cherokee County and was buried in Providence Cemetery. James Otis Holsomback, son of James Thomas Holsomback and Eunice Elvira Booth Holsomback, was born March 25, 1899 in Cherokee County. He was married February 15, 1925 to Ethel Pryor. James G. Tindall, son of Larkin Asa Tindall and Martha Going Tindall, was born about 1800. He was married about 1827 to Patience Rainbolt. They emigrated to Texas and settled at Nacogdoches. They were buried in Old North Church Cemetery there. Rutha Tindall, daughter of Larkin Asa Tindall and Martha Going Tindall, was born in 1806. She was married about 1825, husband’s name McKinney. They settled in Parker County, Texas where her family was killed by Indians. She returned to Nacogdoches to live with her brother, James Tindall and his family.